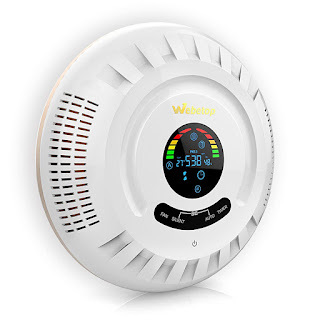 I was recently able to review the Webetop Air Purifier 6-in-1 True HEPA Filter wall-mounted air cleaner. First of all, I love air filters. That sounds odd but it's true. I have two in the bedroom and one in the hall and I'm always looking to add more. What can I say - I love clean smelling air. First of all, this is a huge air filter. It easily mounts on the wall if you want and it's quite attractive to look at. The only negative is that it is set in Celsius and you cannot change that. Otherwise, it seems pretty cool and works well. It does a room up to 322 sq feet so it's ideal for a bathroom or bedroom. I have mine in the hall right now till I mount it on the wall. Here is some information on it and what all it comes with. One thing to keep in mind is to remove the plastic from the filter before you use it. I used it for hours before I saw that part. Derp! Anyway, it's a cool looking air filter and you can put it anywhere or hang it so that's neat. The other thing I love is the ionization. I love that smell - some may not but you can turn that off. 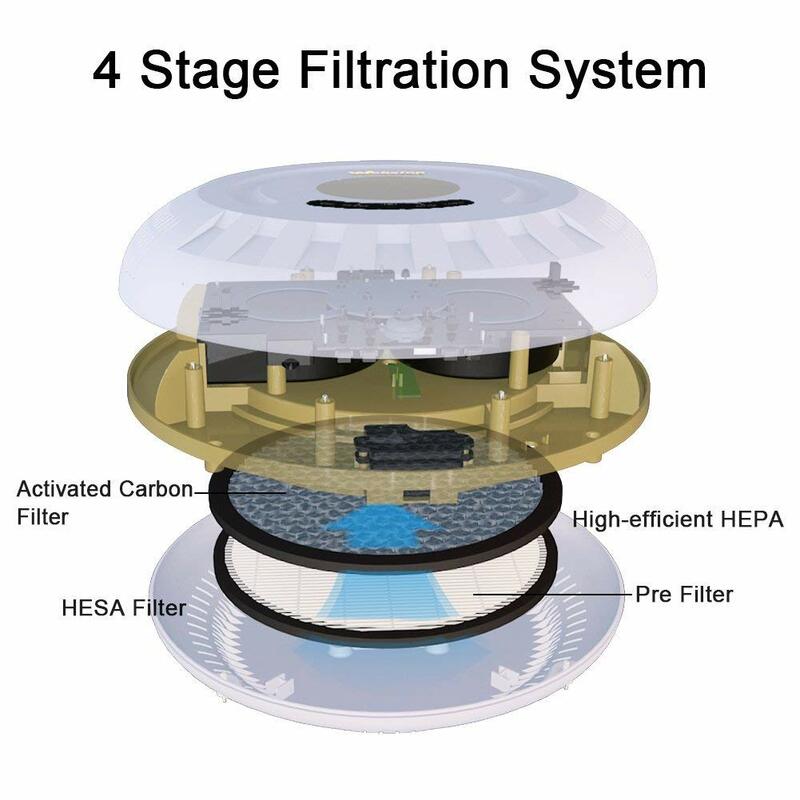 6 Stage Filtration System: Pre-filter, TRUE HEPA Filter, HESA Filter, Activated Carbon Filter, UV Light and negative ion. 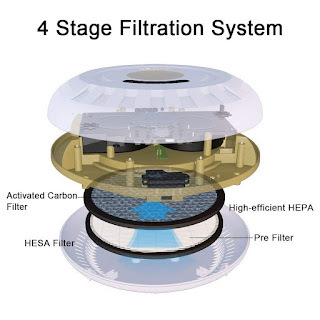 It removes 99.97% of dust, pollen, smoke, odor, mold spores, and pet dander; filters particles as small as 0.3 microns and larger and filters air pollution of PM 2.5. Good for stuffy nose. Sleep Mode & Remote Control: Quietly operates throughout the night with remote control, and can automatically turn off according to the timer from 30 minutes to 7.5 hours. 4-Speed Fan :For whatever speed you’re feeling: Low, Medium, High, or auto. The settings to better accommodate the needs of the room. Temperature & Humidity Sensor in Real Time: Monitor the temperature and humidity in the room with the smart sensor in real time and display the data in the LCD screen.